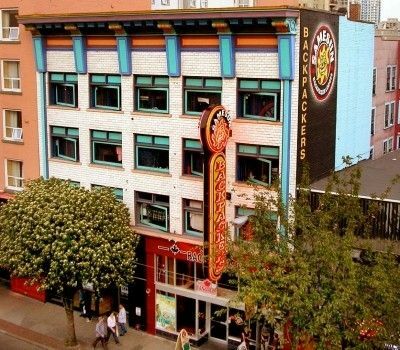 The largest hostel in downtown Vancouver with a central location in the entertainment district. We boast a clean environment with a great atmosphere and friendly staff. 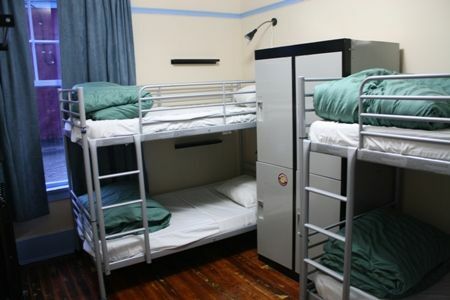 Everything you need in a hostel!Facilities include private rooms, quad rooms, laundry, kitchen, internet access, wireless access, games area, guest lockers, outdoor patio...and the infamous Beaver Backpacker Restaurant - one of the finest backpacker hangouts in the world! Clean, comfortable, safe and fun - SameSun Vancouver is the place to stay in Vancouver! 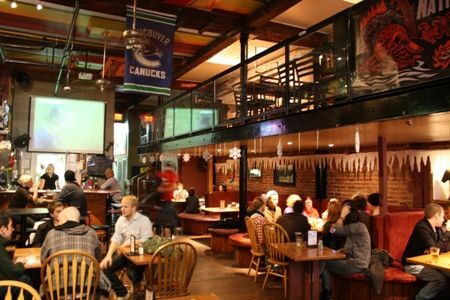 You get what you pay for in this city, so if you want the best experience for your stay in Vancouver, check out our hostel in the city!Please note that you must be at least 18 and have government issued photo ID from outside the Lower Mainland to stay here. To get to the hostel from the Airport, hop on the new Canada Line skytrain and get off at Vancouver City Center. This drops you at the corner of Georgia and Granville. Turn right on Granville and walk three blocks down, you will see us on the corner of Nelson. Cost is $9 weekdays and $7.75 weekends or after 6:30. A taxi will cost you about $32 from the airport.From the Greyhound bus station, take the Skytrain towards Waterfront Station. Get off at Granville Station and turn left on Granville Street. We are 4 blocks down.